Happy 2006! I wish you all the best wishes for a healthy and happy new year. 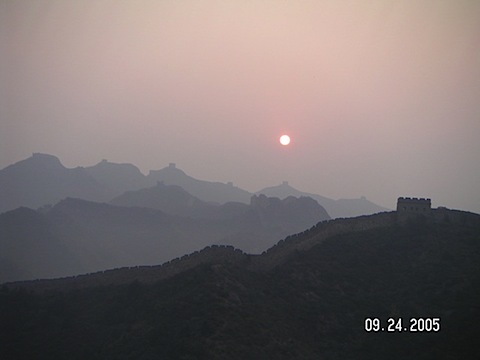 One of my 2005 resolutions is to visit as much of the Great Wall as possible. This may seem to be an impossibly difficult task since the Wall is immense, meanders through the most difficult terrains, and eroded in many places. 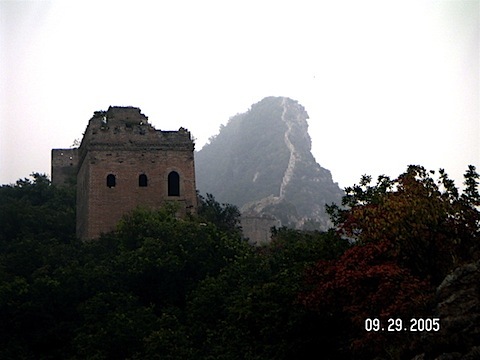 But I consider the Wall to be the most significant monument of my Chinese heritage and I want to give it my best try. 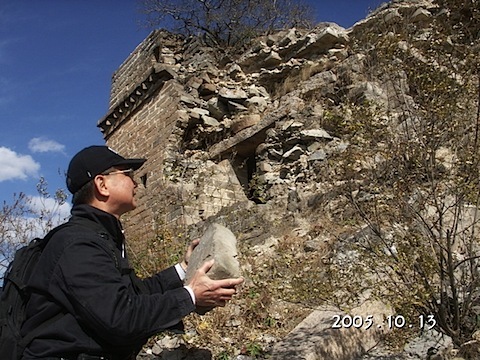 In 2005, I visited several parts of the Ming Wall around Beijing. In the coming years, I plan to visit the famous mountain passes in Shanxi, ramparts along the Yellow River, the rammed earth wall on the edge of the Gobi, and ruined Han beacon towers in the Far West. 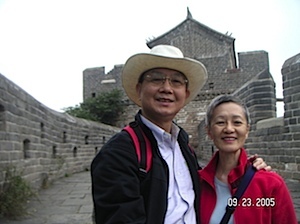 Two happy pilgrims on a restored Wall. The Sky Stairs climbs up a ridge with a one-brick width (18 inches) wall and thousand-foot drops on both sides. I climbed in total darkness to capture this egg-yolk sunrise over layers of the Wall. 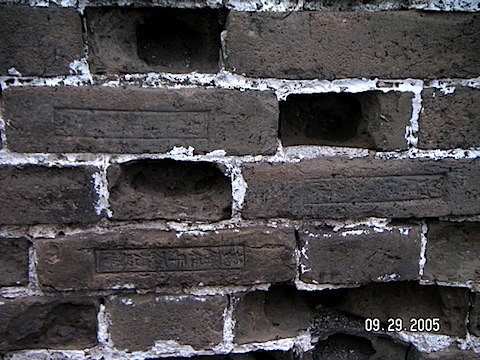 Quality control 600 years ago: Brick were stamped with factory names to trace any manufacturing defects. 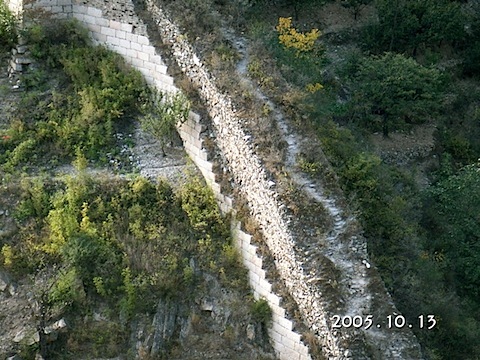 Villagers near the Wall stripped bricks to build houses and terraces. I did my part in restoring one brick to the ruined Wall. Posted by Robert Wu on Monday, November 13, 2006, at 12:46 am. Filed under Uncategorized. Follow any responses to this post with its comments RSS feed. You can post a comment or trackback from your blog.